The Purotrader platform recently celebrated its one year anniversary of the opening of a public cigar auction and trading feature, becoming the world's first and only site to offer a cigar exchange to consumers regardless of physical location. Users can list items within their personal collections for sale or trade by completing a profile on the site, giving them access to thousands of collectors from around the globe. PuroTrader is proud to announce the addition of Cigar Manor to the site, bringing another major retailer on board to provide increased inventory for buyers and traders. Cigar Manor was established in 2012 to offer top quality cigar accessories with exceptional service and reasonable prices to cigar aficionados around the globe. 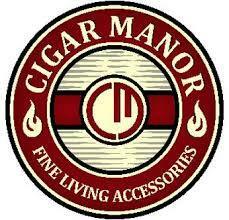 Cigar Manor is registered with the Better Business Bureau and proudly maintains an exceptional rating. The company also donates part of its profits to Big Brothers Big Sisters and various other organizations. Purotrader was founded by two cigar aficionados seeking to revolutionize the way cigars are traded by creating transparency across the global marketplace and enabling users to chart progress of their collections over time. To join the Purotrader community, visit Purotrader.com.